If your loved one is getting to an advanced age, then it may be time to start considering in-home care services for them. These Home Healthcare Services in Connecticut can benefit your senior loved ones in a number of ways. It will help them live a healthier and more independent life. Total Assurance Home Healthcare is committed to ensuring that we are meeting all of the needs of your loved one in the comfort of their own home. 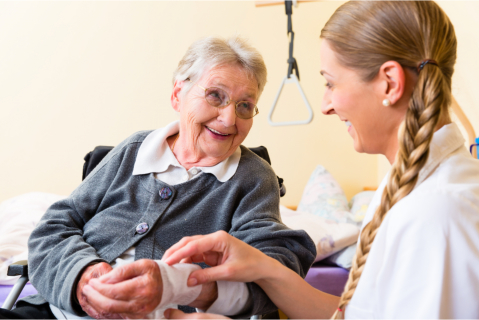 Respite: Through our Respite Services in Danbury, Connecticut, we are able to provide exceptional care services to your loved one. It means you will have the peace of mind you need to rest easy knowing that your loved one is in the best hands. Convenience: We can provide a number of services to your loved one to ensure they are receiving the best care possible at home. Our services include skilled nursing, caregiving, personal care, homemaking, and more. Through our services, we strive to help improve the quality of life and independence of your senior loved one. Homemaking: The last thing anyone wants to do at an advanced age is household chores. Tasks, like running errands, cleaning the house, or even preparing meals, can be exhausting and time-consuming tasks for many senior citizens. For this reason, we can handle these tasks for your loved one, so they are able to relax or use their time and energy towards the things they actually enjoy doing. If you feel like your loved one could use a hand, then you cannot go wrong with providing them with exceptional in-home care services. Visit our website www.totalassurancehhc.com to learn more about the services we are offering and what we can do for your loved one. This entry was posted in Home Care and tagged companion care, Elderly Care, home health, Home Health Care, Respite Care. Bookmark the permalink.